Those were the words spoken by Masayoshi Soken (FINAL FANTASY XIV‘s Sound Director and Composer) when he was brought on stage to address the audience shortly before the FINAL FANTASY XIV Orchestra Concert 2018 – Eorzean Symphony‘s fifteen-minute intermission. The day after E3 2018 wrapped up, I attended the North American premiere at the Dolby Theater in Hollywood, California, and what Soken-san said was a consistent feeling you could get from everyone present -from the concert’s special guests to the performers to the audience themselves- during the show. 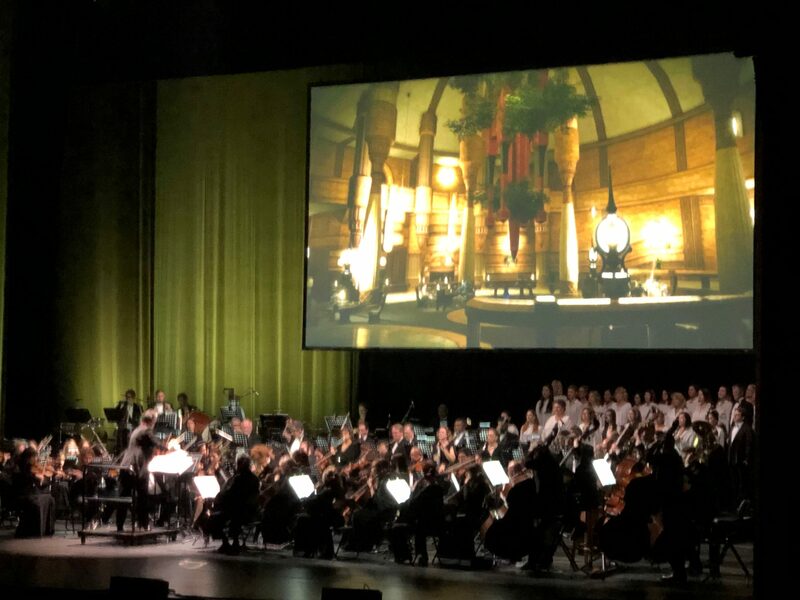 In what I hope is now becoming a yearly E3 tradition, SQUARE ENIX and The Wild Faery Company teamed up once more (they had previously collaborated on last year’s KINGDOM HEARTS Orchestra -World Tour- that I reviewed) to bring FINAL FANTASY XIV Orchestra Concert 2018 – Eorzean Symphony to North America for a limited two-night engagement. The concert took place over a two-and-a-half hour span, with an intermission halfway through. The first half of the FINAL FANTASY XIV Orchestra Concert 2018 – Eorzean Symphony covered music from FINAL FANTASY XIV 1.0 and A Realm Reborn, and the second half featured selections exclusively from the FINAL FANTASY XIV: Heavensward expansion. 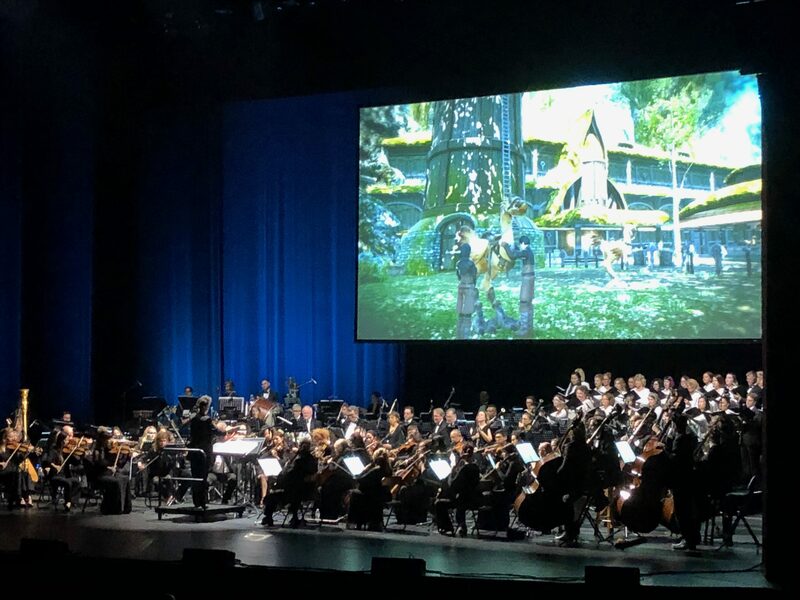 Throughout the performance of the Seventh Astral Orchestra (as they were called on stage), cutscenes from FINAL FANTASY XIV 1.0/A Realm Reborn and FINAL FANTASY XIV: Heavensward were projected on a screen above the orchestra and were intermixed with short clips of the orchestra themselves playing live. Musical selections from the current expansion, FINAL FANTASY XIV: Stormblood, were noticeably absent from the performance, however. 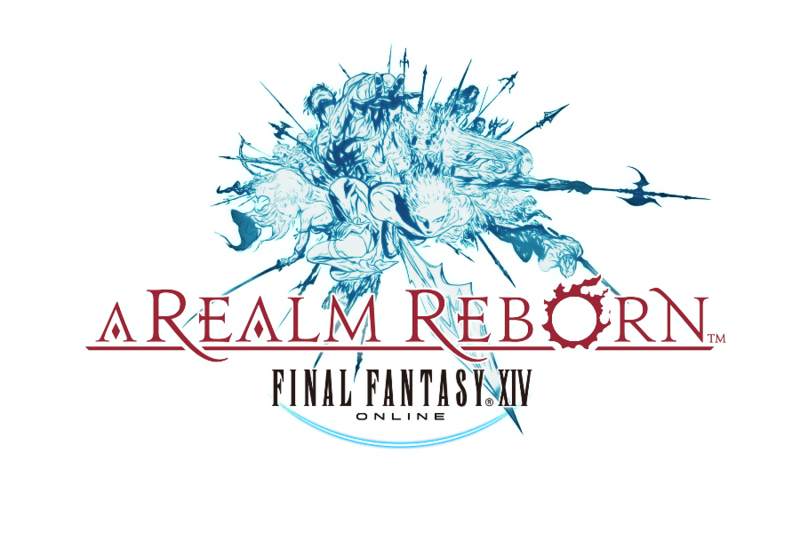 The concert covered music selections from FINAL FANTASY XIV 1.0/A Realm Reborn and FINAL FANTASY XIV: Heavensward only. The current expansion, FINAL FANTASY XIV: Stormblood was absent from the performance. (Images owned by SQUARE ENIX). For the first half of FINAL FANTASY XIV Orchestra Concert 2018 – Eorzean Symphony, it was clear that there was a ‘story’ being told across two mini-arcs with the music. 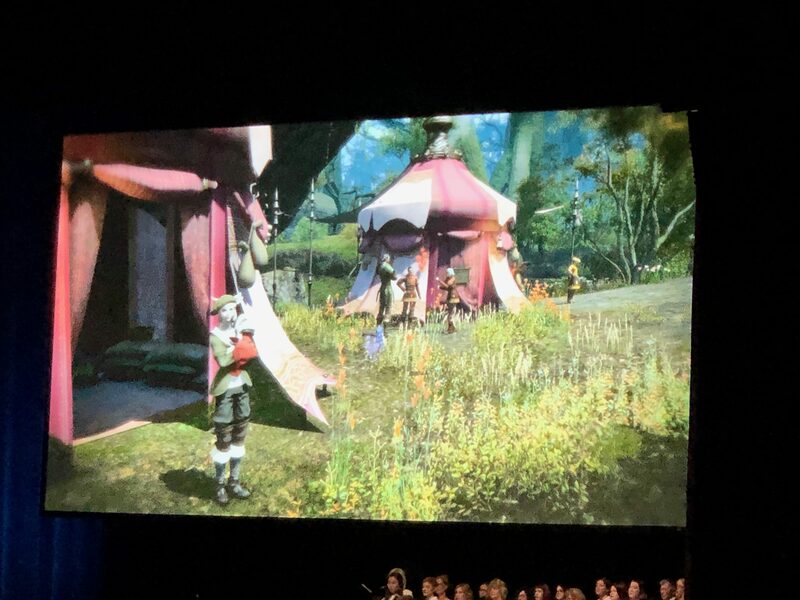 The first mini-arc began the performance with the theme from Ul’dah (A New Hope) that was set against cutscenes of a new player entering the land of Eorzea in A Realm Reborn. Afterwards, the concert proceeded to play music from Gardenia (Serenity), selections as you level up to the then-cap of 50 and experience the main quest storyline (Out of the Shattered Labyrinth and Breaking Boundaries), and then ultimately take on Ultima as part of Operation Archon (Ultima). The first half of the concert then closed out with the second mini-arc that comprised of Calamity Unbound, Rise of the White Raven, and Answers (sung by special guest vocalist Susan Calloway). All three of these pieces detailed the end of FINAL FANTASY XIV 1.0 with the descent of Meteor that sets up backdrop of FINAL FANTASY XIV: A Realm Reborn. I had played FINAL FANTASY XIV during 1.0, and I completed the entire basic storyline in the frantic lead-up to the game being shut down so it can be rebooted into 2.0. As a result, seeing these three particular pieces performed carried a special significance for me as a player, as it reminded me just how much my linkshell at the time and I worked together to clear everything and experience as much of the game as possible before the hard-stop game reboot came about. The first pierce performed was the theme of Ul’dah (A New Hope). (Images taken by me). After a short intermission, the Seventh Astral Orchestra for FINAL FANTASY XIV Orchestra Concert 2018 – Eorzean Symphony returned to dive straight into music selections from FINAL FANTASY XIV: Heavensward. If you’ve played the main quest storyline for FINAL FANTASY XIV: Heavensward, then you should feel satisfied to know that all of the major story-beats, leading directly from the shocking ending of Patch 2.5’s Before the Fall, are here (and I am not about to spoil them for you if you haven’t). Unlike the first half of the performance, the second half did not really feel like it was telling a mini-storyline so much as it did just doing a ‘greatest hits’ sequence. During the second half, two pieces worth noting in particular were Oblivion and Moebius. Oblivion was performed as part of a string quartet as the remainder of the orchestra sat quietly around them. It was a marked, more somber-feeling piece that both had an intimate feeling that matched the story being told overhead on the screen. Yoshi-P, when he took the stage afterwards, said that that Oblivion was meant to “[t]ug at your heartstrings.” In that respect, I felt like he was right. The other piece, Moebius, is played during the Alexander fight in the Heavensward expansion…and it includes an actual, legitimate, ‘timestop’ during the performance. If you haven’t played FINAL FANTASY XIV, a timestop is a particular battle element to this fight where your character just freezes in place (wherever you are). It was something that clearly was introduced here to cater to the fan audience, and it worked quite well. 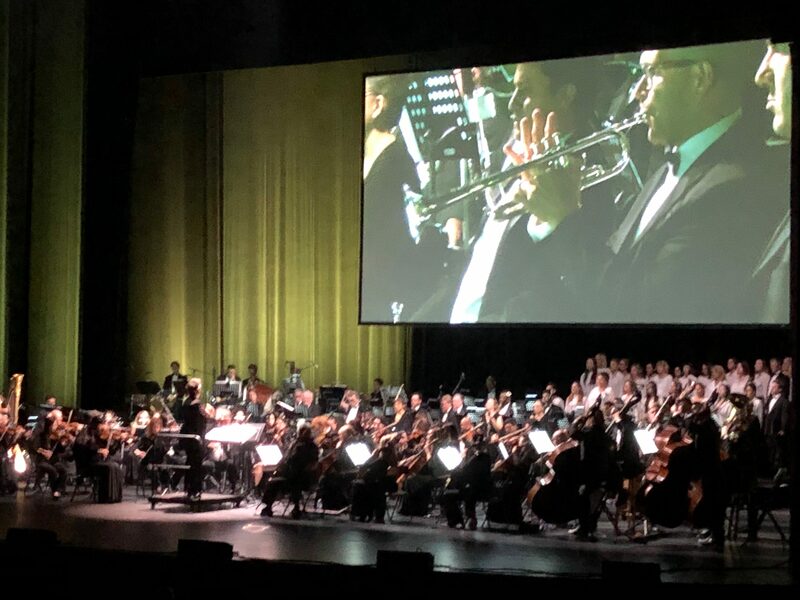 Live bits and pieces of the Seventh Astral Orchestra performance would occasionally cut in between cutscene clips from FINAL FANTASY XIV during the performance of a piece. (Images taken by me). The concert finally closed out with an encore performance that included two pieces, A World Apart and Torn From The Heavens. Both of these performances neatly capped out the evening and made me feel quite satisfied with everything I saw as I headed out afterwards into the night. The second piece performed was the theme from Gardenia (Serenity). (Images taken by me). 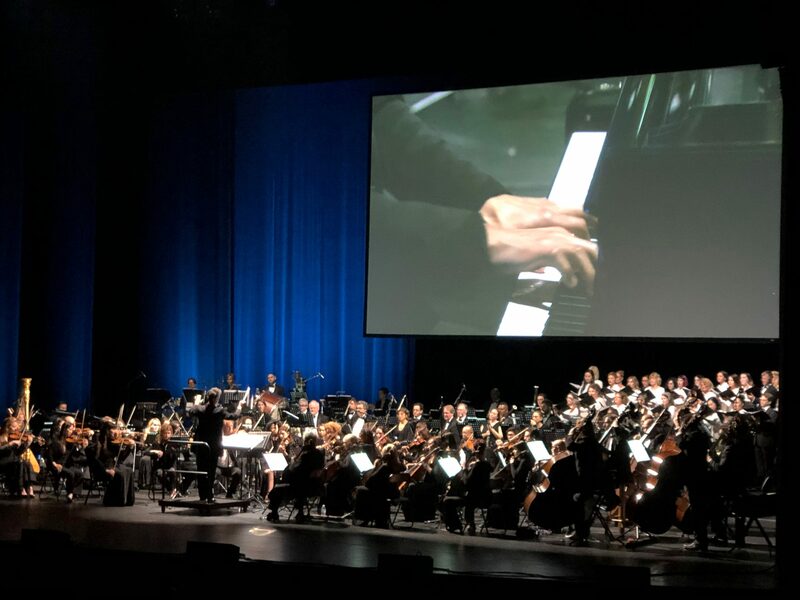 All throughout FINAL FANTASY XIV Orchestra Concert 2018 – Eorzean Symphony, Naoki Yoshida (FINAL FANTASY XIV‘s Producer and Director, also known as ‘Yoshi-P’) took the stage multiple times, and he would discuss the concert or about making the game itself with Masayoshi Soken next to him. 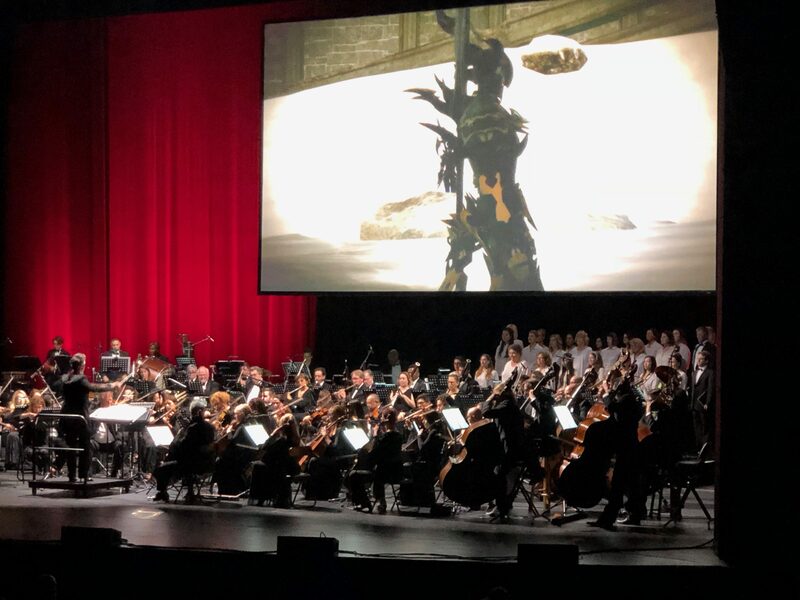 At one point, Yoshi-P stated that he took over the FINAL FANTASY XIV project on December 3, 2010, and he said in almost subsequent disbelief (through a translator) that “I’m in the game industry- I can’t believe I’m hosting and MC’ing an orchestra concert.” Soken-san also told the audience that when he composed the titular-song Heavenward, he was under a severe time crunch and that he did it in a five-day turnaround with the opening cinematic sequence already being set in stone. All of these bits and pieces of background really enriched the concert itself and served as appropriate mini-breaks in the concert. This setlist was curated by the Author’s own written recollections. 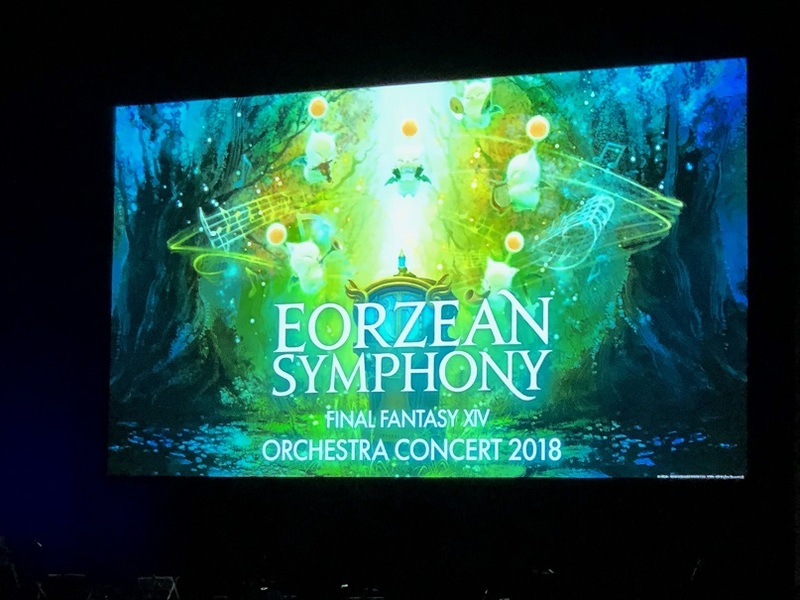 FINAL FANTASY XIV Orchestra Concert 2018 – Eorzean Symphony was, in short, a fantastic concert, and one of the best video game concerts I have seen as of yet (and I have been attending these shows since the North American premiere of Distant Worlds: Music from FINAL FANTASY at the then-named Rosemont Theater in March 2008). Despite a couple very minor equipment issues during the show (and the fact that they did not play the Limsa Lominsa theme I am the Sea, even though they played the themes for Ul’dah and Gardenia), the orchestra played expertly and the game clips/orchestra clips were synced in time incredibly well with the concert across the two-and-a-half-hour show. I fervently hope that FINAL FANTASY XIV Orchestra Concert 2018 – Eorzean Symphony gets a wide release in the near future like KINGDOM HEARTS Orchestra -World Tour- did this year, as I could see myself going to it again. FINAL FANTASY XIV Orchestra Concert 2018 – Eorzean Symphony’s next performance is on August 24 and 25, 2018 at the Konzerthaus Dortmund in Dortmund, Germany. Tickets are on sale now. 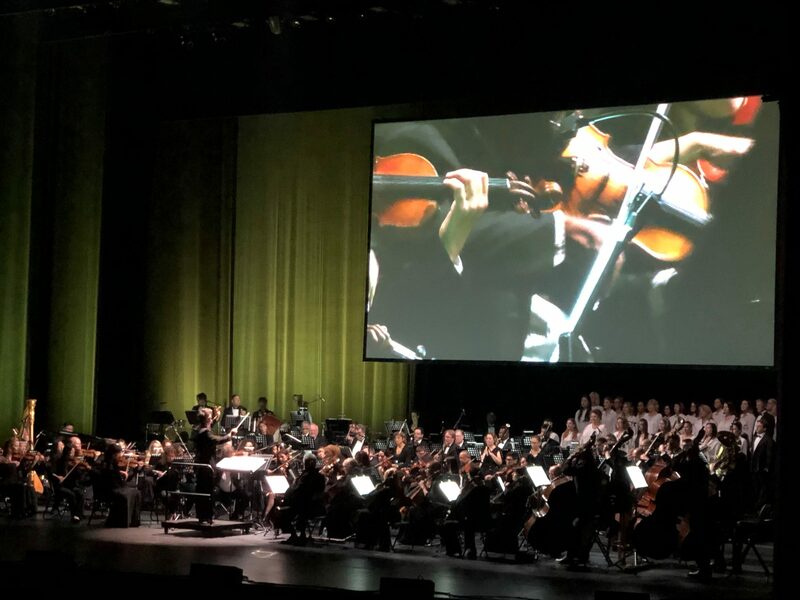 Did you attend FINAL FANTASY XIV Orchestra Concert 2018 – Eorzean Symphony? Where would you like to see the concert performed next?